"Thursday May 17, 2012 7PM: Internationally-recognized peace and human rights activist Father Roy Bourgeois introduces: Pink Smoke Over The Vatican, the award winning documentary that explores the controversial movement of women seeking ordination in the Roman Catholic Church. Many devoted women are answering a spiritual calling to become priests and seek equality in the religion they love despite threats of excommunication, banishment, and loss of livelihood. For over 40 years Father Roy has spoken and acted for justice and equality. The Catholic hierarchy has accused Father Roy of “grave scandal” and has threatened him with excommunication for speaking out for women’s ordination. Informative, beautifully filmed and edited, with a powerful soundtrack, Pink Smoke Over The Vatican will inspire any woman or man who has experienced discrimination and marginalization to stand up to power, no matter the odds, and follow their true call." Putting on an event is hard-work. Concerns would occasionally arise, mostly in the form of: “Will anyone show up?” However, these concerns were not shared by KABF chair Debra Hannula. She told her fellow planners Cecelia Wambach and Judy Liteky her secret: “When I do things in Kelly’s name, something otherworldly occurs.” Both women listened to that brief sentence in earnest, with Judy turning it into her personal mantra for the next 3 months: ﻿“KELLY ANN BROWN, WORK YOUR MAGIC!”﻿ And whenever Debra heard it a smile would form across her face with a knowing that all would be well. When the day arrived, Debra introduced surprise guest director/producer Jules Hart, the film Pink Smoke, and guest speaker Father Roy Bourgeois. Debra was excited to tell the virtually sold-out audience that this event was co-sponsored by the Kelly Ann Brown Foundation, and shared with the audience a bit about our beloved Kelly. KABF Director Katy Jo Steward was in attendance, along with her dear friend Martha Walton, both traveling from Seattle. Ms. Hart spoke of coming to the project as a non-Catholic. She resisted at first, but after hearing women speak of their callings to the priesthood, she felt she had to tell their stories. "Do you remember meeting at Cecilia's home on Feb. 17 to explore whether we might challenge ourselves to organize an event on May 17 with Pink Smoke and Father Roy as the headliners? I remember thinking the idea had potential but I knew I didn't know how to find the people who would enjoy such a happening. Today I experience deep gratitude that our trio did find out how to bring people to the Embarcadero Cinema for inspiration because "the women are here" with joy and love. What a happening last night!" "I am still in awe of what happened. I still cannot believe how magnificent Father Roy was—so much warmth and compassion in his speech. My friends, the whole Jewish Shabbat Group, were there, and they loved everything about the evening. They felt that this was a spirited look into Roman Catholicism and they loved it—especially Roy! How stunning! I am happily exhausted, here in Chicago, but bragging about our great evening. It was evident to me that "The Spirit is a-movin' all over, all over this land!" Grateful and joyful the three glowed from the successful night, hoping those in attendance had similar positive experiences. Any worries were put to rest as emails from those in the audience came in with words like renewal, inspiration, joy, compassion, solidarity, hope, and love. "The friend that came with us is a lifelong Roman Catholic and it was his first exposure to women priests. 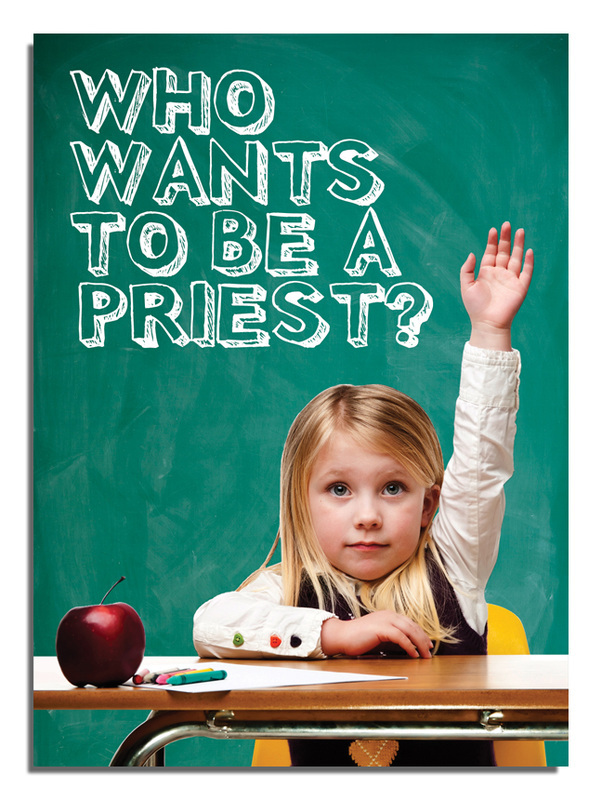 He loved it and called today to ask if I could get him some "Who Wants To Be A Priest?" postcards. He wants to send some to his family in Ireland. He is sharp as a tack at 91 years. We really enjoyed the event. It is exactly that feeling of unconditional love and acceptance as we are, that seems to be so lacking in our churches." "A million thanks to the Kelly Ann Brown Foundation. This event would not have happened without their financial support. Please share our gratitude with the directors. Thanks again for a great evening. I continue to marvel at Father Roy's courage and his unwavering conviction. So many priests I know are quietly supportive, but that tactic hasn't gotten us very far at all." One man actually converted. He arrived that night a devout conservative Catholic and left a changed man, even purchasing several copies of the movie (the Pink Smoke DVD’s for sale that night sold out!). “I hope Roy lives long enough to see the work he’s championed!” This man epitomized the importance of male support. He identified with Father Roy, both men passionate about their Catholic faith and their shared need to seek justice. He listened to Roy with an open mind and heart, and left that night desiring to see a positive outcome that would include Roy, one reason in many why men are so important to the women’s equality movement. "I am still incredibly moved by last night’s event and so happy to have had the opportunity to connect with you, Katy Jo and so many wonderful, passionate people. I know that the evening was a labor of love and want to congratulate you again on its success--everything was beautiful, powerful and inspiring, and you really set the stage with your heartfelt introduction of the Kelly Ann Brown Foundation, the film, Jules and Fr. Roy. I feel incredibly fortunate to have had the opportunity to participate and to connect with the love and social justice values at the heart of the Kelly Ann Brown Foundation (and each of you!). I will be purchasing the film today and can’t wait to share with family and friends." KABF Director Katy Jo wrote her nieces the next day summarizing it all just perfectly! "Dear Nieces: I just got home from San Francisco. The Kelly Ann Brown Foundation sponsored a movie, Pink Smoke Over The Vatican. The director Jules Hart and Father Roy Bourgeois were the main speakers. We had dinner with Roy and another couple Judy and Charlie Liteky the night before the event at our friends, Deb and David's house. It was such a memorable evening. Roy is advocating for the ordination of women priests in the Catholic Church. He was nominated for the Nobel Peace Prize in 2010 for his work with the School of the Americas Watch, which he founded. The SOA Watch demonstrates for the closure of the American military school where we train assassins in Central and South America. Charlie was a priest who won the Congressional Medal of Honor for his bravery during the Vietnam War, and later gave it back because of the US policies in Latin America that have led to so much suffering and death. Judy was an Immaculate Heart nun in Los Angeles and part of the Immaculate Heart order which made heart-felt adaptations to respond to modern life. The order was censured by the Vatican and her local Archbishop and Judy withdrew from the group in the late 1970’s. Charlie eventually left the church and the two met and later married. Both continue to fight for peace and justice. The movie was at the Embarcadero Theater in San Francisco and the theater was almost full, nearly 300 people. It is well-done—a powerful statement about sexism in the church and the calling women have to become priests. The director is a woman and you would love her—creative, funny, dynamic. I did not appreciate how important it is for women to become priests. The Catholic Church is powerful and women can change the culture of corruption. Roy is a powerful speaker, humble and committed to justice and peace. He invoked Kelly's name and said he could feel her spirit working her magic. It meant so much to me to hear her remembered, in such a gathering, with reverence and love. I wish you all had been there. I thought of all of you as I watched such brave women struggle for what they want."